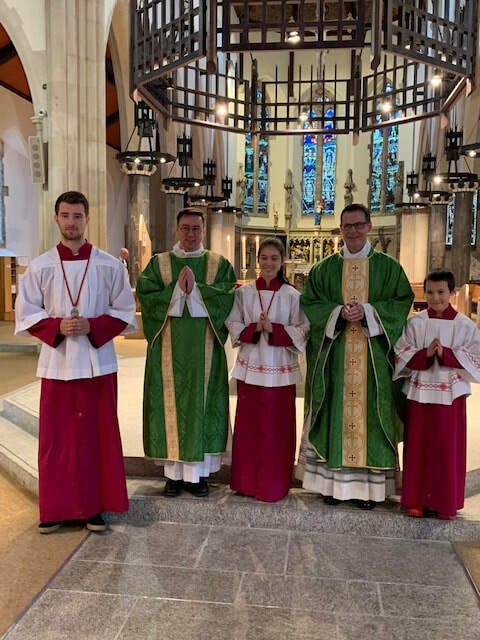 The Guild of St. Stephen is an international organisation of altar servers founded in England in 1904 by Father Hamilton McDonald when he formed a society of Altars Servers at the Convent of the Sacred Heart in London. In 1905, St. Pius X, Pope gave his approbation to the canonical establishment of the guild at Westminster Cathedral and in 1906, the Sacred Congregation of Rites made the guild an Archconfraternity prima primaria, enabling all the parish branches to be linked with it. The guild spread and, in 1934, Pope Pius XI enabled all guilds of altar servers throughout the British Commonwealth to be affiliated with the Archconfraternity at Westminster. Servers will have been given adequate training and reaches the necessary standard before being admitted to the sanctuary and then should serve satisfactorily for a minimum of six months before being enrolled as a member of the Guild. 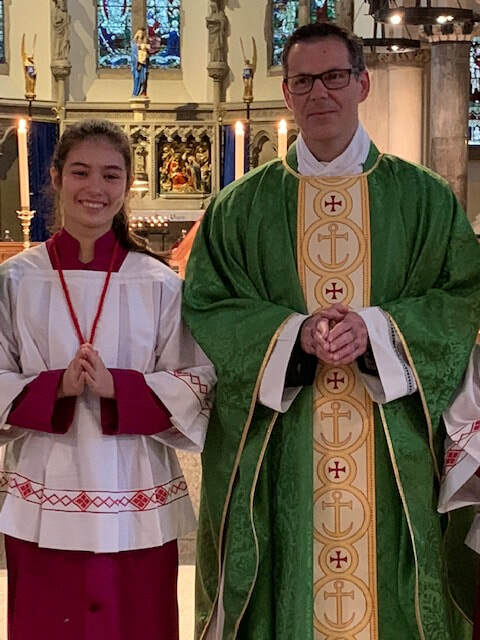 The parish priest, or the local director of the Guild, decides whether a candidate is eligible and worthy of admission to the Guild and he is empowered to perform the ceremony of enrolment and invest the server with the Guild medal, using the prescribed form of enrolment. 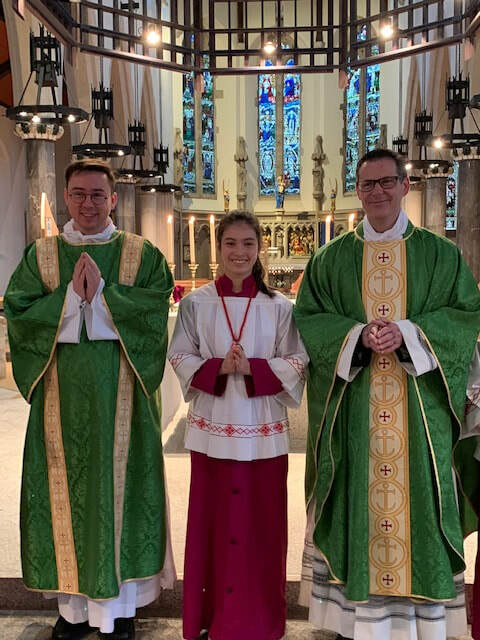 We had the pleasure of presenting a St Stephen Medal to one of our Altar Servers recently. The medals are presented for service after one year (Bronze), ten years (Silver) and twenty years (Silver Medal of Merit) and fifty years (Gold Medal). Above you can see photographs from the Mass on Sunday 14 October where we presented a bronze medal.